Chicago Public Schools has asked the Chicago Teachers Union to join them in binding arbitration in an effort to reach a contract deal and prevent the third Chicago teachers strike in four years, a CPS spokeswoman said. CPS CEO Forrest Claypool wrote the request in a letter Wednesday to CTU President Karen Lewis. "In our view a strike whether in May or in August or in September would be devastating to our students and parents," Claypool wrote in the letter, noting he was "disappointed" the CTU rejected a recent impartial arbiter’s recommendation to accept the school district's latest offer. "Further, we are at a loss as to how a strike would solve or even advance a solution to the considerable challenges that CPS faces." Claypool suggested that CPS and the CTU "join together in Springfield for long term sustainable funding for our schools." He asked that the CTU agree to binding interest arbitration instead of a strike. "Interest Arbitration has been used in Chicago for our Police and Fire contracts for decades," Claypool said. "I believe that teachers are just as important as our policemen and firemen. The extraordinary circumstances that CPS currently faces demands that we use every means available to avoid disruption to our schools and our families." 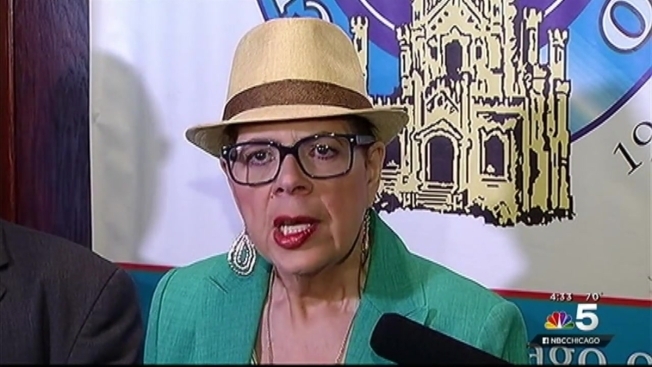 In a comment to Ward Room about Claypool's request, CTU spokeswoman Stephanie Gadlin called the proposal "a publicity stunt before Karen’s City Club Speech." "We have hundreds of members in Springfield right now fighting for revenue. While Karen is delivering her speech at noon, our members will be marching on the governor’s mansion in Springfield," Gadlin said. "CTU does not have binding interest arbitration because we choose to negotiate and write our own contracts---plus police and fire, as he referenced, cannot strike. We can’t say we’re interested in this until we know the rules of arbitration and under what terms." Lewis told Ward Room she has to discuss the proposal with the group's general counsel. The CTU rejected the independent fact-finder’s report on Saturday. Lewis called the report "dead on arrival." Lewis said Monday the CTU would only agree to a contract that meets a specific set of criteria, including creating enforceable class size limits, being "economically reasonable" in terms of teacher pay and benefits, a charter school moratorium, an end to school closings and consolidations and a pension levy. The Chicago Teachers Union rejected an arbiter's report Saturday, beginning the 30-day countdown to when teachers can legally strike. NBC 5's Katie Kim reports. "Our membership has already voted to authorize a strike," Lewis said. "We now have 28 more days to cool off as required by state law, which at any time thereafter we can file a 10-day notice to go on strike." 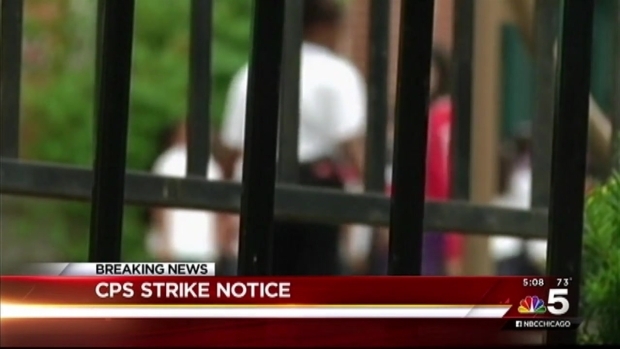 Lewis said if the teachers strike, it's unclear how long they will be out. "No teacher ever wants to go on strike," Lewis said. "This is not a joyous occasion. We prefer to be inside with our students, doing what we love. But this board leaves us no choice." Claypool asked for Lewis' response to his request by April 27.